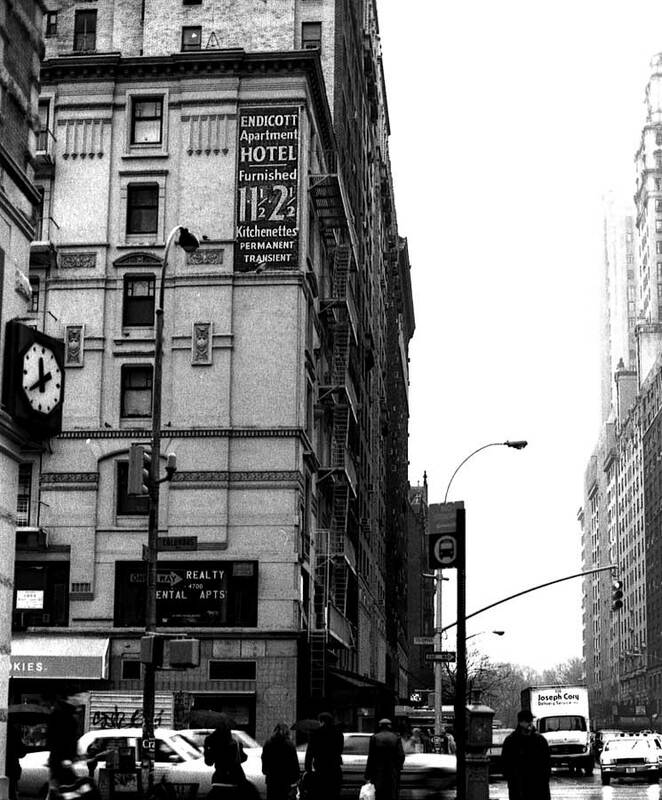 The Endicott Apartment Hotel was listed in the Manhattan telephone directory from 1936 to 1991. Their telephone number throughout these 55 years was ENdicott 2-4860. The 7-story structure still stands at the northeast corner of Columbus Ave., and apparently dates from the late 1880s.